A Little Bit of Quiet: Floral Friday ~ "Flowers in the Garden"
It is Fall now over here in Canada so the garden flowers that were in abundance only a matter of weeks ago have all but disappeared. 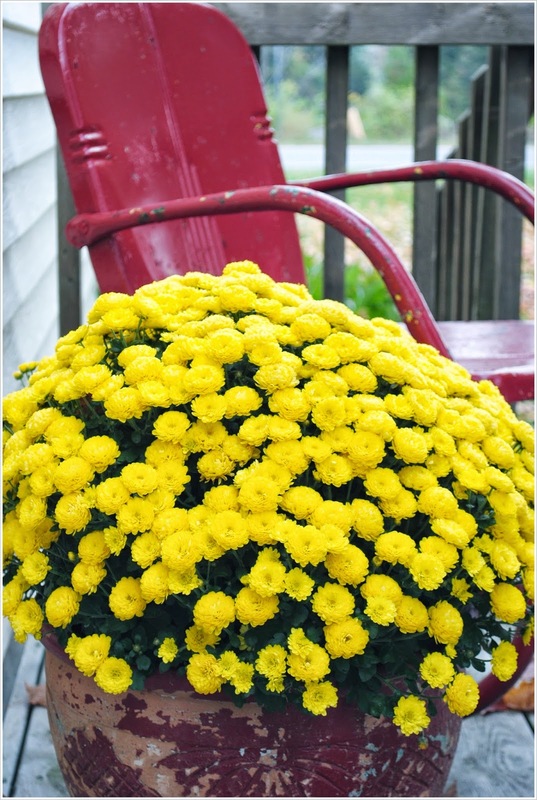 What is in abundance, though, and is on just about everybody's porch here is the "Fall Mum" - a huge potted mass of gorgeous, bright yellow flowers. Summer may be gone but these beauties scream "sunshine" and are the perfect welcome to have on your doorstep. 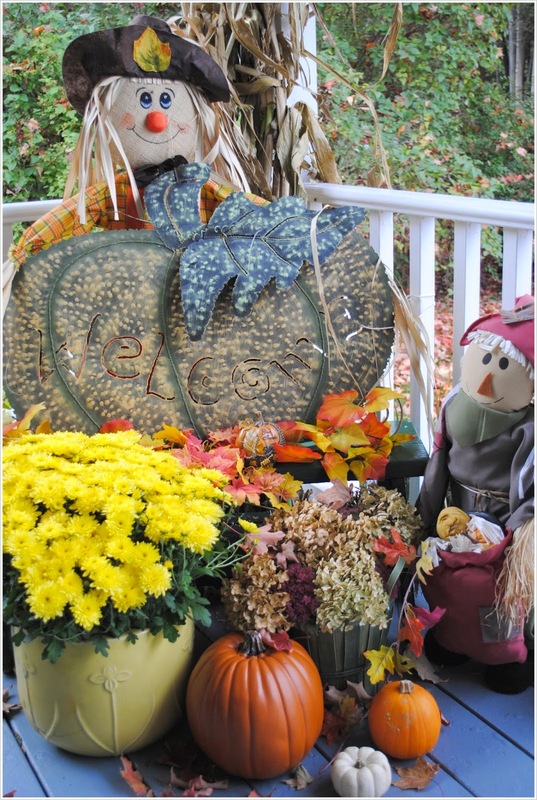 And here's a little peak at some "Fall Mums" sitting very pretty amongst the Fall decorating on my MIL's porch. As you can see, she's a bit more experienced than me at this seasonal decorating caper. 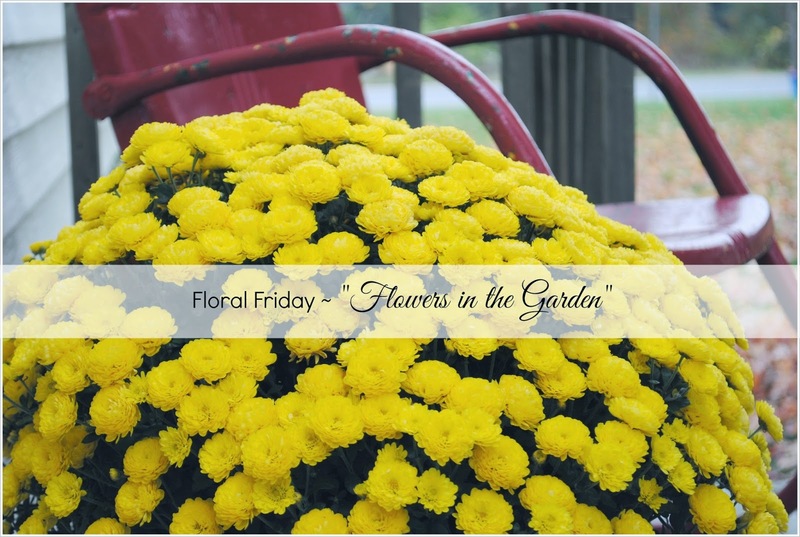 Happy Floral Friday everyone, and be sure to check out the other wonderful blogs in this blog hop. So bright and cheery! I love how well they contrast against the red chair. Glad you found the time to photograph the fall mums and share them with us! 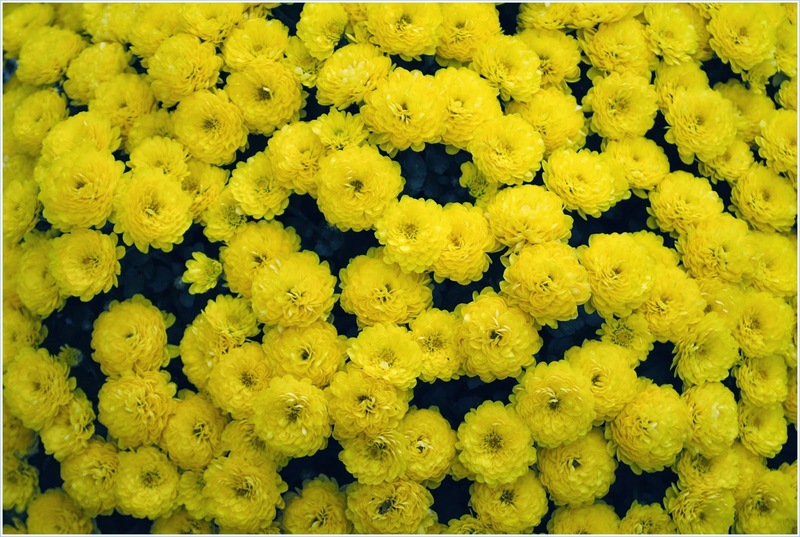 How gorgeous the Mums are, so bright and cheerful and looks welcoming to your home. 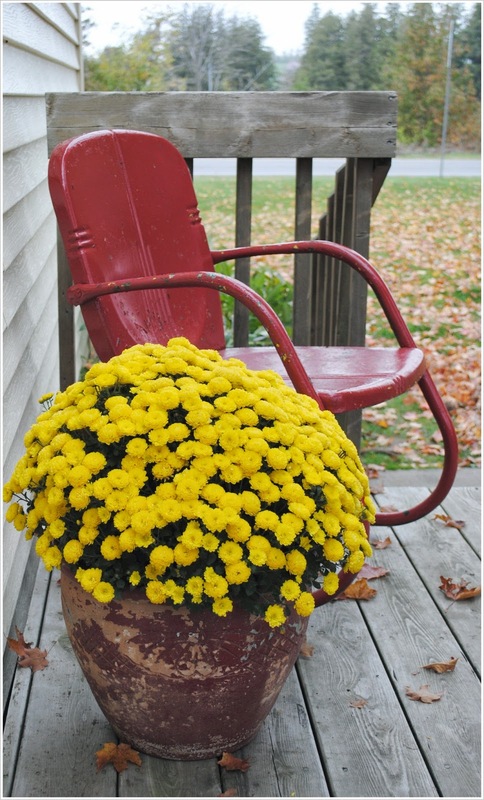 Oh that yellow Mum is wonderful for creating your Autumn display at the front door. It is striking against the red chair. Your MIL's porch is so sweet - I love the little family and the pumpkins! Great to meet you at Trishie's Floral Friday.